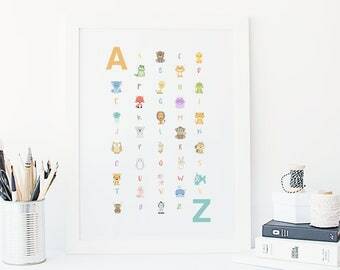 This custom print is a great gift for a new mom, nursery, or birthday present for your kiddo! Choose their favorite animal, or just go by the first letter of their name. 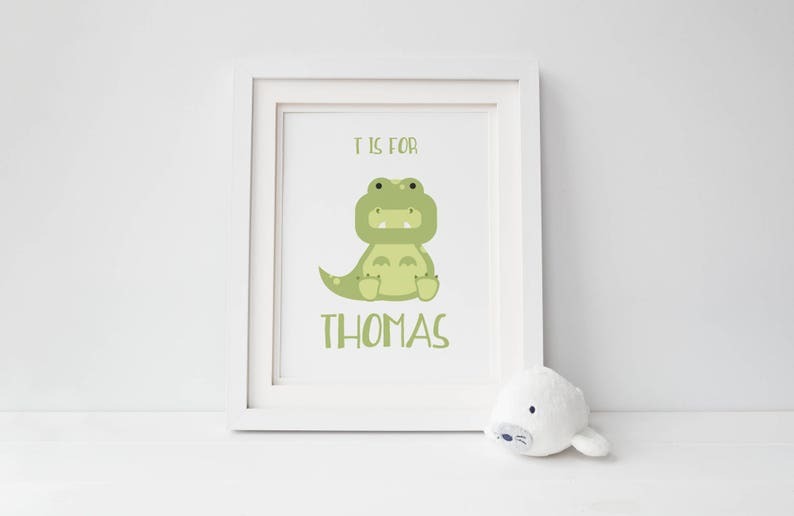 This gift is sure to be a hit with any toddler or baby. Art is printed on 8.5" x 11" or 8" x 10" 100lb matte paper stock and mailed with chipboard and a clear plastic cover for protection. Frame not included. Feel free to message me if you're interested in more customizations like font, size, etc!